Narrator: In the spring of 1964, Scott Carpenter was preparing for a new mission. The second American to orbit the earth, he had become one of the most famous men of his day. Now, he would be embarking on another, equally dangerous undertaking. This time, Carpenter would not be an Astronaut but an “Aquanaut,” venturing into the deepest parts of the ocean, a vast and forbidding domain every bit as daunting as outer space. Divers who attempted to chart its depths faced barriers that had thwarted mankind for centuries – near total blackness, bone-jarring cold, intense pressure that could disorient the mind and crush the body. Carpenter and his fellow pioneers would attempt to break through those barriers -- going deeper and staying longer underwater than anyone had done before, seeing if it was possible for humans to live on the bottom of the ocean. Their daring exploits were beginning capture the nation’s attention, but tragedy would consign their ground-breaking work to the shadows and obscure the accomplishments of the men of Sealab. Narrator: On the first of October, 1959, the U.S.S. Archerfish glided to a stop 322 feet beneath the waves, off the Florida coast. Two navy divers were about to test whether it was possible to escape from a submarine at this depth – something no one had ever tried before. The men took a single lung full of compressed air and stepped out of a hatch into the water. They were immediately lifted upwards by their inflated vests -- travelling at six feet per second. As they rose and the water pressure decreased, the air in their lungs kept expanding, forcing them to exhale a continuous stream of bubbles. 53 seconds after leaving the Archerfish, the men burst onto the surface and took there first lungful of air. The daring test was known as a “blow and go,” and at its center was a pioneering researcher named Dr. George Bond. Ben Hellwarth, Author, Sealab: George Bond was the kind of guy that when he walked into a room, big tall guy with a deep resonant voice, and a kind of visionary air about him, people liked him. Even his...even people who didn’t agree with him, couldn’t help but kind of like him. And it made him the kind of leader people wanted to follow. Bob Barth, U.S. Navy Diver: If he said, tomorrow we’re going to go to the moon, all of us would have said, let’s go. He was just that type of guy. Sylvia Earle, Explorer: George Bond was out there in the thick of things himself. He was a personal guinea pig. He’d try things out before he’d expose others to the risks. Narrator: He was a broad-shouldered former doctor from Appalachia, whose backwoods brogue and southern courtliness masked a driving determination to save lives and change the world. Narrator: Bond had grown up around the small town of Bat Cave, North Carolina and returned there at the age of 31, as the region’s only doctor. Within a few years, he had been named Doctor of the Year and was profiled in a film by the American Medical Association – honored for his tireless work serving 5,000 people, scattered across 500 square miles of rugged backcountry. Bond was drafted into the medical corps near the end of the Korean War. In March of 1957, he was assigned to the Medical Research Laboratory at the U.S. Naval Submarine Base in New London, Connecticut. The lab was a center for studying the effects of diving on the human body, and training submarine crews in escape techniques like the “Blow and Go.” Bond fell in love with what he called “The Diving Game.” Shortly after arriving in New London, he submitted a research proposal to the Navy, outlining his vision for man’s future below the surface. Bob Bornholdt, U.S. Navy Diver: He was dreaming about people living on the ocean floor and farming and building houses and civilizations and actually feeding the population of the world from you know those activities. Ben Hellwarth, Author, Sealab: It was more of a vision than a sort of scientific paper. Bond was thinking of military, industrial, scientific possibilities, the whole world that might open up if only man could live in the ocean. Narrator: The ocean itself, an expanse covering 70% of the earth’s surface, remained an alluring but forbidding realm that had fascinated humans for centuries. “Breath-hold” divers had long sought pearls on a single lungful of air but could only stay below the surface for minutes at a time. By the 1920s, treasure seekers, salvage operators, and Navy divers began to descend in so-called hardhats, breathing air pumped through hoses from the surface. The clumsy rigs allowed them to roam the sea floor, but their umbilical lines could easily become fouled on obstructions. 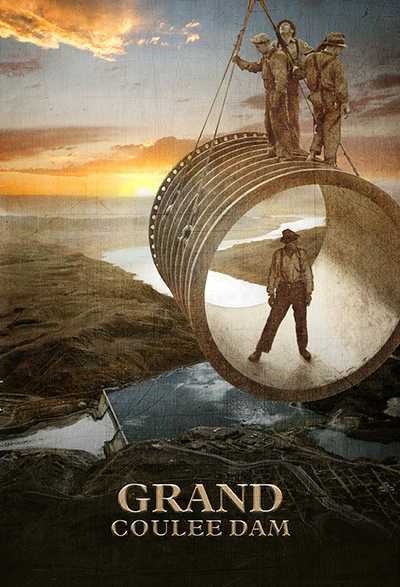 Eventually, pressurized vessels extended man’s reach into the depths. The first modern submarines were developed during the Civil War by World War I, they had emerged as a terrifying new weapon. Then, in the 1930s the American naturalist and marine biologist, William Beebe [Bee-bee] lowered his pressurized iron bell, known as a “bathysphere,” almost half a mile below the waves, glimpsing for the first time, the strange life forms inhabiting the inky blackness. Twenty-five years later a reinforced “bathyscaphe” called Trieste descended an astonishing 35,000 feet – almost seven miles -- to the deepest part of the ocean. By the time George Bond arrived in New London, nuclear-power had made it possible for submarines to remain submerged for weeks, cruising hundreds of feet down. humans remained confined to airtight capsules, unable to swim freely at such depths. In the 1940s, a new system known as scuba allowed divers to breathe compressed air from tanks worn on their backs, but the further down a diver went, the more dangerous the undersea world became. The pressure at sea level is known as one atmosphere. As a diver descends, atmospheric pressure doubles every thirty-three feet, compressing the air that he breathes. The further down the diver goes, the more the air molecules in his lungs -- comprised of 80% nitrogen and 20% oxygen -- become concentrated. Under this increasing pressure, the molecules are absorbed into the bloodstream and body tissues. But too much oxygen becomes toxic and causes convulsions, and too much nitrogen creates a woozy fog that can be deadly. The compressed air also causes problems as the diver returns to the surface. As pressure decreases, he must allow time for the expanding molecules to be slowly released from the blood and tissues. A process known as decompression. Ascending too fast releases the gas as bubbles, causing the crippling and potentially deadly cramps called The Bends. Ben Hellwarth, Author, Sealab: Once you’ve been diving at a certain depth for a while you’re kind of like a soda can, and you do not want to pop the can and have the bubbles burst out. Sylvia Earle, Explorer: You have to gradually return to surface pressure, gradually enough so that the gases don’t just boom, explode in your circulatory system. Narrator: George Bond was sure that despite the human body’s weaknesses and vulnerabilities, he could somehow adapt his divers to the pressure of the ocean depths. Ben Hellwarth, Author, Sealab: How deep can a diver go really and how long can a diver stay down? Bond was amazed that nobody knew the answers to those questions and now he’s sitting in charge of a medical research lab and thinks that maybe it’s about time we start to run some experiments. Archival Audio: The tests were carried out at the Navy’s experimental diving unit in Washington, which is equipped to simulate the effects of underwater living. Captain George Bond and Commander Walter Mazzone recruited Raymond Lavoi, Saunders Manning and Robert Barth for medical tests. Narrator: Barth was a garrulous and profane Navy man, but also a skilled diver with a desire to push the limits of his field. Bob Barth, U.S. Navy Diver: You go diving and the book tells you you’re going to go to 140 feet you can only stay there five, ten, fifteen minutes. Bond said, “never mind, let’s go to that depth and stay there” and that’s what Genesis was all about. Narrator: Inside the Genesis capsule, Bond and Mazzone cranked up the pressure until it was four times what is was outside – the equivalent of 100 feet underwater. They also tinkered with the gas mixture, trying to avoid the problem of too much oxygen or nitrogen. Archival Audio: The scientists created for this experiment a special atmosphere. They were breathing a mixture of six parts oxygen, 14 parts nitrogen and 80 parts helium, a revolutionary kind of air. Ben Hellwarth, Author, Sealab: Now one thing that had been found out was that helium made an excellent replacement for nitrogen. You could take out a lot of the nitrogen, put in helium and not get the narcotic effect. Now as you might imagine there is a side effect. Archival Audio: Conversation with diver with helium voice. Narrator: In addition to its effect on the human voice, helium was a devilish gas to contain. It’s small atomic structure meant that it could escape from the tiniest cracks in the chamber, endlessly vexing Walt Mazzone, who spent days trying to plug the leaks. Bond’s next challenge was to figure out whether divers that spent weeks under pressure would have to spend even more time decompressing. His theory was that once a diver’s body absorbed the maximum amount of gas possible – like a sponge that was saturated with water –he could stay in that state indefinitely, and his decompression time would remain the same. All he would need was a habitat on the ocean floor, and if it was kept at the same pressure as the surrounding water, and the gas mixture was right, he could come and go as he pleased. Bond’s concept became known as saturation diving. Richard Blackburn, U.S. Navy Diver: The theory was that you could actually live and work on the ocean floor in a saturated state -- after 24 hours you’ve totally absorbed all the inert gas you can possibly absorb in your system, so the decompression is going to be the same as it is at 24 hours or 24 days. Narrator: On August 26th, 1963, in a final test, Bob Barth and his team entered the Genesis chamber and lived inside for almost two weeks at the same pressure found at 200 feet. Narrator: As the Genesis tests came to a close, Bond had answered every question but one – would his techniques actually work in the dangerous environment on the bottom of the sea. Narrator: In the spring of 1963, Americans were looking skyward with increasing uneasiness. 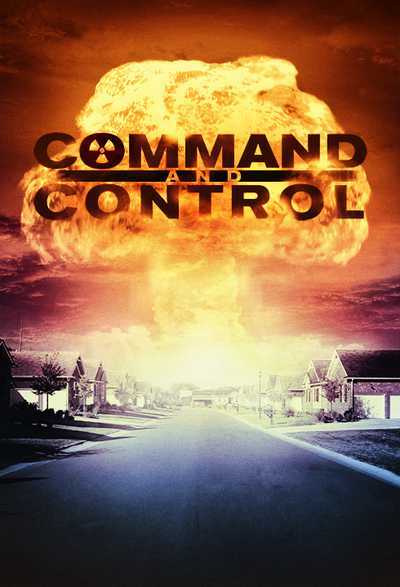 The previous fall the nation had teetered on the brink of nuclear annihilation during the Cuban Missile Crisis, and Cold War tensions could not have been higher. Audio, Kennedy: Should these offensive military preparations continue, further action will be justified. Narrator: And while the latest missile test garnered the biggest headlines, in reality, much of the conflict with the Soviet Union was unfolding in the dark and silent depths of the ocean. Ever since the end of World War II, the Navy had been embarked on a crash program to match the Soviets’ capability in nuclear-powered submarines armed with ballistic missiles. Then, on April 10th, 1963, one of America’s newest atomic submarines, the U.S.S. Thresher, developed mechanical problems and sank in over 8,000 feet of water, its hull crushed by the immense pressure. Narrator: The accident sent shock waves through the Navy. It announced a sweeping “Subsafe” program, and new research on rescue vehicles for sunken submarines. Suddenly, George Bond’s pioneering work with deep sea divers had become a higher priority for the Navy – even though his budget remained meager. With approval to begin underwater testing in hand, Bond and Walt Mazzone scavenged navy junk yards. In the fall of 1963, at a base in Panama City, Florida, they came across two discarded minesweeping floats –sixty-foot-long hollow cylinders tall enough for a person to stand upright. Narrator: Bond and his crew outfitted their strange-looking contraption with a makeshift array of equipment: a hot-plate, electric heaters and the intercom system came from Sears because they were cheaper than the Navy stockpiles. The best conduit for fresh water turned out to be an ordinary garden hose. Ben Hellwarth, Author, Sealab: Despite the low budget there’s a lot riding on this first test at sea because if they run into any real big problems, Dr. Bond might not be allowed to go any further with this concept. So it’s very important that they’re able to replicate at sea, the concept that they developed in the lab. 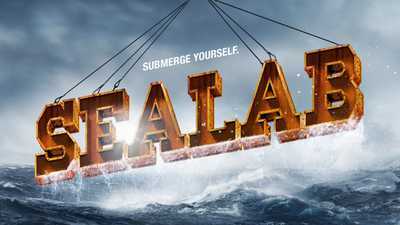 Narrator: After seven months of scrounging, welding, and makeshift engineering, Sealab was mounted on its Navy support ship, a bulky freight barge, and taken to a coral reef next to an old Navy research platform, 25 miles southwest of Bermuda. The barge would provide a base for the diving team, and supply the gas mixtures that would be pumped down to Sealab. The divers would be shuttled back and forth to the sunken habitat using a pressurized “Submersible Decompression Chamber,” also known as a diving bell. 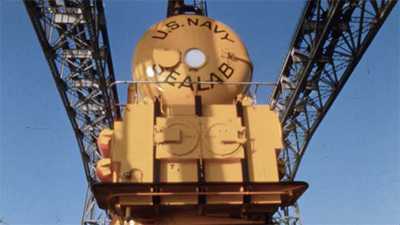 Once the mission was over, the bell was raised onto the barge and it served as a cramped chamber where the Aquanauts had to endure 55 hours of decompression. In spite of the do-it-yourself nature of the Sealab project, one man who was no stranger to risk asked to be part of the team. After his pioneering time in outer space, Malcolm Scott Carpenter, was looking for a new challenge and he had sought out George Bond. Sylvia Earle, Explorer: Scott Carpenter -- he’s the real deal. His interest is in exploration, in wanting to know and to understand, whatever it takes. Narrator: Bond chose four others to live in Sealab I, and his loyal test subject, Bob Barth, was one of them. The goal was to see if the team could live under pressure for 21 days, breathing the same helium and oxygen mixture used in Genesis, this time at a depth of almost 200 feet. Bob Barth, U.S. Navy Diver: In a way it could be said we were guinea pigs, but you’re a trained individual, you have practice doing what you’re doing and you know what’s expected of you. Narrator: Carpenter was scheduled to lead the first team of what were called “Aquanauts,” but he was sidelined when he broke his arm in a motorbike accident just a few days before the program got underway. On July 19th, 1964, Sealab was lowered onto the floor of the ocean and the aquanauts rode down in the diving bell. Bond and Mazzone waited anxiously as the men took a lungful of air and swam over to the lab. The sound of squeaky voices on the intercom signaled that they had arrived. Archival: 192 feet down on the floor of the Atlantic Ocean the United States Navy conducts an experiment to test man’s ability to live and work underwater. A 40 ft pressurized helium and oxygen filled under sea laboratory is home for 4 Navy divers. Activity in the sea lab is monitored by closed circuit television linked to the surface. Compared to the cramped confines of the Genesis pressure chamber, Sealab I was almost spacious. The Aquanauts were still breathing mostly helium, and because it absorbs heat much faster than regular air, the lab had to be kept in the mid-eighties in order to keep them warm. 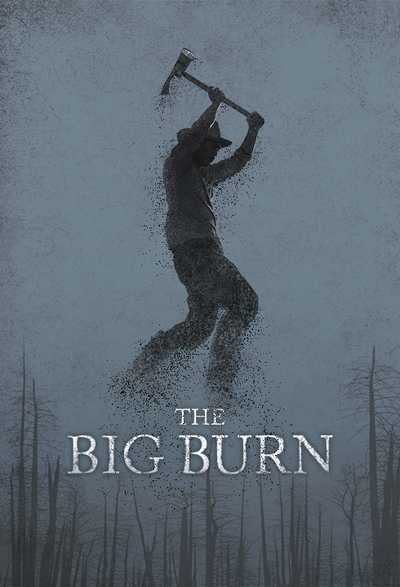 And while the small percentage of concentrated oxygen in the atmosphere was enough to keep the men alive there wasn’t enough to strike a match. The pressure inside kept the surrounding water at bay, allowing the divers to enter and exit the lab through an open hatch in the floor. Once they left behind the steamy confines of Sealab, the Aquanauts discovered a marine paradise. “It was like living inside a giant aquarium,” Bob Barth remembered. The aquanauts spent much of their time in the water, testing out new rebreathing systems, that recycled gases like helium and filtered out the dangerous carbon dioxide exhaled with every breath. Ben Hellwarth, Author, Sealab: Mostly they were dealing with systems and methods. Can we keep the gas mixture healthy? // Is the gear they are using in the water // suitable for this kind of a dive? All these variables are in the mix and the real trick is to have this go well enough that the navy might let them try it again. Narrator: After ten days, a hurricane bearing down on Bermuda forced Bond to cut short the mission. With 15 foot waves roiling the surface, the aquanauts survived a dangerous transfer to the support ship and after more than two days of decompression, they emerged safe and sound. After years of effort, George Bond’s vision of man living under the sea at last seemed within reach. Ben Hellwarth, Author, Sealab: SEALAB I is perceived as a success which is great but for Bond it also leaves open a lot of questions. These guys were in Bermuda, the water was warm. The visibility was good. That’s not the way it is in most of the ocean. And the big question is what if we want to go deeper? Narrator: The next step was to leave behind the balmy waters of Bermuda and test the Sealab program in a far more inhospitable domain – one that would push the Aquanauts to the very edge of human endurance. 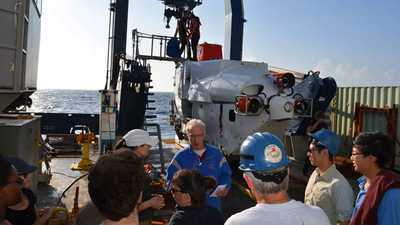 Ben Hellwarth, Author, Sealab: It's pretty amazing that our own ocean with its maximum depth of about seven miles has been largely unseen, largely unexplored. Actually 95% of the ocean territory remains unknown. Sylvia Earle, Explorer: In the middle of the 20th Century, the perception of the ocean was generally that so big, so vast, so resilient that there’s not much that humans could do to harm the ocean. It was basically thought to be too big to fail. But the ocean is where most of life on earth actually lives. The ocean drives climate, weather, regulates temperature. It is our life support system. //Sealab was a critical part of understanding this part of the universe. Narrator: Following the success of Sealab I, the Navy gave George Bond’s team almost $2 million dollars – ten times more than they had invested in his first habitat. Sealab II was designed and built by the Navy’s submarine architects, and Bond recruited three teams of aquanauts, 28 divers in all, including Scott Carpenter, Bob Barth, and scientists from the Scripps Institution of Oceanography. Each team would take turns on the bottom for 15 days straight, at more than 200 feet. Archival, Scott Carpenter: I think in the immediate future, exploration first of the ocean, will bring us far greater rewards than the exploration of space, because, if for no other reason, of the distances involved. The richest part of the sea floor is roughly a million times closer than the moon. Narrator: When Bob Barth stepped out of the diving bell in August of 1965, the warm, crystalline waters of Bermuda were a distant memory. He was floating in almost total blackness, just above the floor of the Pacific Ocean, off the coast of San Diego. The water was a bone-chilling 45 degrees, sapping his energy and urging him towards the lights of Sealab II, lying at a slight angle on the rim of the Scripps Submarine Canyon. Over the edge the depth plunged to six hundred feet. Bob Barth, U.S. Navy Diver: Dark and dingy and cold. Bond wanted to get a little deeper and live a little rougher. 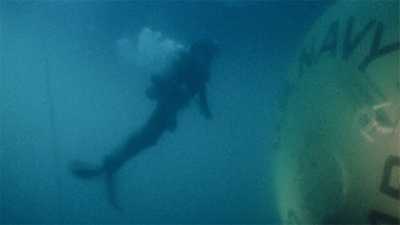 Bob Bornholdt, U.S. Navy Diver: On a good day you could probably see about five or six feet. On a bad day you couldn’t see your hand in front of your face. Richard Blackburn, U.S. Navy Diver: If you’ve got any bit of claustrophobia at all you’re not going to make it and the cold aggravates the situation even worse because then you start losing mobility, you start losing thinking ability. The combination of cold and dark is pretty traumatic. Narrator: Part of the mission was to test whether the saturated divers could swim away from their base and go as much as three hundred feet further down into the canyon and before returning. The men were ordered to set up weather stations, test new electrically heated wetsuits, and attempt to salvage the sunken fuselage of a fighter jet. With no voice communication it was easy to get lost in the limited visibility of the sea floor. Working in these conditions was exhausting and dangerous. The cold sapped the divers strength, lines became tangled, lights burned out and took hours to replace. Any malfunction that created accidental buoyancy and suddenly sent them upward meant almost certain death from “The Bends.” Scorpion fish, whose sharp spines could penetrate a wet suit and cause excruciating pain, lurked around the entrance to the Lab. 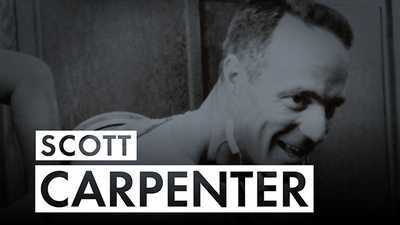 Half-way through his deployment Scott Carpenter was stung and laid out for days. Ben Hellwarth, Author, Sealab: There are no computers, there are no warning systems. There is really only the diver’s sort of sixth sense that something is not right with this gas mixture or maybe he’s been out a little too long and he better get back to the habitat right away, because that is the only safe place people can go. Richard Blackburn, U.S. Navy Diver: You’re now locked into that hatch, on the seafloor and you have to get back there if you run out of air or if you have a problem, you’re no longer a scuba diver who’s free to go back to the surface. Archival: Sealab 2, Sealab 2, this is Papa Topside. Narrator: Despite the hazards, as time went on, living on the bottom of the ocean began to feel almost routine. Archival: Scott Carpenter plays his ukulele and sings in chipmunk falsetto. Narrator: [Over headlines] The longer the Sealab II Aquanauts stayed submerged, the more media attention they seemed to generate. Never one to miss a good chance for publicity, George Bond arranged for Scott Carpenter to receive a call from President Lyndon Johnson. Archival: [Audio recording of LBJ conversation with Scott Carpenter] JOHNSON: Scott, I’m mighty proud to hear from you. You’ve convinced me and all of the nation that whether you are going up or down you have the courage and the skill to do a fine job. Carpenter: Well thank you very much. It is a great crew around here, and we are all very honored and pleased that you saw fit to call us. Narrator: When Sealab II was raised to the surface on October 11th, 1965, it had been manned continuously for 45 days, including Scott Carpenter’s record stay of 30 days below. Archival: The crew of Sealab II’s mother ship man the decompression chamber. After aquanaut Scott Carpenter and his men return to the surface. Everybody appears hail and hearty after their life 200 feet below the surface . . . At a later press conference all of the aquanauts are elated over their accomplishments. The Navy feels that men have proven that man can readily adapt himself to the strange environment of the sea with little or no ill effects. Carpenter, the 2nd American to orbit the Earth, points out his living quarters to his wife. Now he’s the only man to hold records in the sky above and in the sea below. Narrator: While George Bond and his team continued their innovative experiments, another pioneer was determined to introduce a mass audience to the mysteries of the undersea world. The French explorer and adventurer Jacques Cousteau produced two Academy Award-winning films that revealed an unknown universe under the waves. The documentaries featured a series of structures that served as both ocean habitats, and set pieces for his cinematic endeavors. 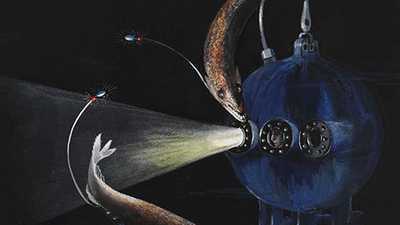 In contrast to Bond’s rigorously scientific Navy program, most of Cousteau’s pods were close enough to the surface that the aquanauts were breathing regular air. Ever sensitive to their appearance, Cousteau had installed a tanning booth. Mozart and Vivaldi played on the sound system. Sylvia Earle, Explorer: You could sit around a table, drinking fine French wine while you were dining underwater. Cousteau became the public face and inspired the public to understand that going up in the sky is wonderful, going into the ocean is maybe equally wonderful, and important too. Narrator: As elegant and eye-catching as Cousteau’s first ventures may have been, in George Bond’s opinion, the experiments didn’t generate “one iota of useful physiological information.” But just a month after Sealab II, using some of George Bond’s pioneering saturation techniques, Cousteau managed to put six divers onto the floor of the Mediterranean, almost 330 feet below the surface. If Bond and his team were going to push the boundaries of knowledge in Sealab III, they would have to take their habitat deeper than any had gone before. Narrator: On Christmas Eve, 1968, the crew of Apollo 8 became the first men to orbit the moon, beaming back a picture of an “earthrise” – that showed a small blue sphere floating in the empty blackness of space. It was clear that America had pulled ahead in the space race, as Cold War tensions remained high. The game of nuclear brinksmanship continued under the waves, and the U.S. Navy kept searching for new ways to gain an advantage against a stealthy and dangerous foe. Deep sea divers were beginning to figure in the spymaster’s plan, especially if they could operate at radically increased depths, for extended periods of time. All eyes were on the next phase of Sealab’s pioneering tests. Archival: Here at the San Francisco Bay Naval Shipyard, workers prepare Sealab III, a special habitat for ocean floor dwelling, to be used by the aquanauts of the Navy’s most ambitious undersea experiment to date. Narrator: Sealab III was a roomier, remodeled version of its predecessor, in which five teams of nine aquanauts each were expected to spend a total of almost two months under the surface. But as it was being readied, Bond and the others received word from the Navy that their habitat would be sent down to a daunting 600 feet. The change in depth was never explained, but clearly Sealab was becoming an increasingly important part of the secretive cold war competition for control of the oceans. Ben Hellwarth, Author, Sealab: 600 feet suddenly became the goal which is a kind of quantum leap. // It’s like now you’re going to try to go to the moon instead of just orbit the earth and it seems to some people like maybe they were skipping some steps here. Narrator: On February 15th 1969, three-hundred ton Sealab III was lowered to the sea floor off the coast of San Clemente, California. The teams of aquanauts were standing by, with Scott Carpenter acting as an advisor to George Bond, Walt Mazzone, and a group of mission commanders. 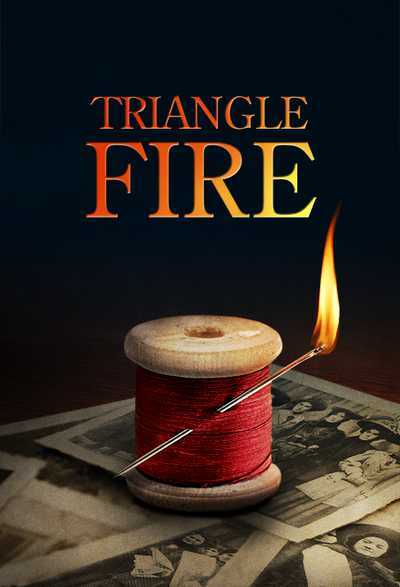 Almost immediately, George Bond and his team knew they had a serious problem. Once again, it revolved around the helium gas -- it was bubbling out of multiple gaps in Sealab III. The Navy bureaucracy that had overseen the habitat’s construction had never pressure-tested the lab with helium. If divers couldn’t fix the leaks, their supply of the precious gas would run out, and Sealab III would have to be abandoned. The naval officers in charge huddled with Bond and weighed their options. They decided to send down the first team of aquanauts to try and enter Sealab III and fix the leaks from the inside. Archival: Okay, I’d like to get all members of team 1 over here. Narrator: Almost 24 hours after Sealab III was submerged, Bob Barth, Richard Blackburn, Berry Cannon and John Reaves were pressurized to 600 feet, and began their descent in the diving bell. But it acted more like a refrigerator than an elevator. Richard Blackburn, U.S. Navy Diver: The bell had absolutely no heat in it whatsoever. So it was cold air blowing on you with an arctic wind chill. Narrator: The electric heater was broken. The neoprene wet suits provided little protection, and the helium – in the atmosphere, and inside their lungs and tissues – sapped the heat from their bodies. It took more than an hour to reach the bottom. 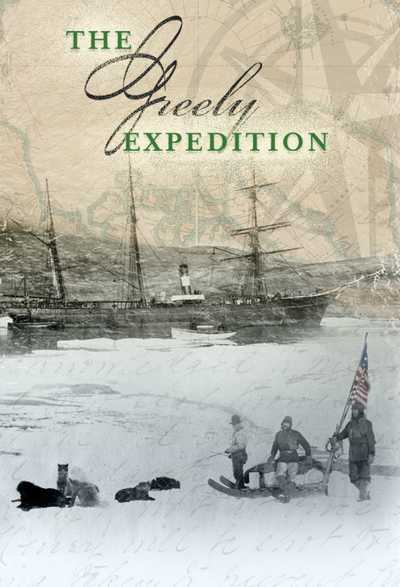 When they arrived at 600 feet, the men were colder than they had ever been in their lives. Bob Barth, U.S. Navy Diver: Colder than hell. You’re breathing helium and your body is permeated with helium. It’s a lot colder a lot faster and a lot colder, period. Richard Blackburn, U.S. Navy Diver: I mean our teeth were chattering. But we thought we’d be able to get into the...the habitat and, and we expected it to be warm and we’d be able to recuperate. Narrator: Barth and Cannon swam to the bubbling Sealab. Barth tried to open the lab's heavy entry hatch, but it wouldn't budge. After fifteen-minutes of fruitless labor, they were ordered topside and had to endure another freezing ascent in the bell. While still-pressurized and confined to their chamber on board the support ship, the aquanauts did their best to warm up. 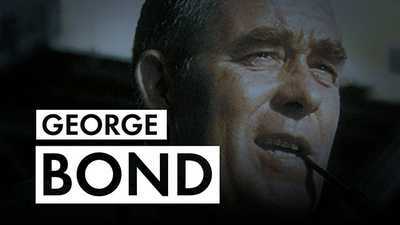 George Bond tried to determine how long their bodies needed to recover before they could go back down. Bob Barth, U.S. Navy Diver: They were worried about us being cold. I said, we’ll be all right, we’ll be alright. I told them we needed to get back down there. I made the choice to get back down and get done with what we were trying to or we would lose the habitat. Narrator: Bond and the officers in charge of the program decided to send Barth and his team down four hours later. Scott Carpenter argued for more recovery time, but was overruled. Richard Blackburn, U.S. Navy Diver: The minute we closed the hatch // the temperature did the same thing. We’d all been through this for like 24 hours so it was much worse. But we were so numb by that time that we didn’t know it was much worse. Narrator: The bell reached the bottom around 4 a.m. on February 17th. Barth and Cannon dropped through the open hatch, slipping once again into the icy darkness. Ben Hellwarth, Author, Sealab: They’ve got about 30 yards to swim down, to get from the pod to the entrance to the habitat. The leaking appears to have been coming from where the power cables hooked into the lab. Berry Cannon veers off a little bit to have a little look at what the problem might be before he went inside the lab to try to solve it. Narrator: Barth struggled once again with the hatch but it was no use. Then, he suddenly turned around and realized his partner, Berry Cannon, was in trouble. Richard Blackburn, U.S. Navy Diver: John Reaves and I heard this scream in the water. And we looked at each other and said, what the heck was that? Narrator: Cannon was convulsing, his jaws clamped shut, his gas regulator floating free. Barth grabbed what was called a buddy breather – an emergency supply of gas from Cannon’s tanks -- and tried repeatedly to force it into his mouth. Ben Hellwarth, Author, Sealab: He can’t get the regulator back in Berry Cannon’s mouth. And Barth is feeling like he himself might just pass out. His next best move is to get himself back to the bell where he might get help or at least save himself. Bob Barth, U.S. Navy Diver: I tried to get him in the bell and bring him back to the surface. But by that time, I was kind of beat...beat up. Richard Blackburn, U.S. Navy Diver: People topside had seen what was going on through their closed circuit TV and said, get a diver in the water. When I got there Berry’s mouthpiece was floating up here. And Bob had already tried to use his buddy breather, so I took the mouthpiece and shoved it in his…tried to shove it in his mouth. His teeth were locked solid. It wouldn’t go into his mouth at all. Ben Hellwarth, Author, Sealab: Blackburn manages to sort of wrangle Berry Cannon under one arm and kicking and swimming furiously. He makes it back up to the bell. Richard Blackburn, U.S. Navy Diver: We kept up trying to revive him. Ben Hellwarth, Author, Sealab: Bond and Mazzone and the topside crew are hearing, faster, faster, like get us up. Archival: [Show anchor] A civilian US aquanaut taking part in the nation’s most ambitious underwater living experiment to date, died today in water 600 feet deep off the southern California coast. Archival: The Victim was one of four divers trying to find a leak in the underwater capsule when he was stricken. Bob Bornholdt, U.S. Navy Diver: Devastated. I mean when...when people found out that Berry had...had died, hardly a dry eye. Anybody associated with that program, you know it was just...it was just terrible. We, we all...we all knew the risks, but when it’s, when it actually happens and you’re faced with it, it’s...it’s very sobering. Narrator: Immediately, the Navy suspended the Sealab program and launched an investigation into Cannon’s death. His fellow aquanauts still had almost a full week of decompression to endure before they emerged from the chamber on the support ship. Richard Blackburn, U.S. Navy Diver: It was pretty well deserted. You know there was only the skeleton crew that was there to keep us alive basically and, and decompressing us and get us out safely. And everybody else had gone home. Narrator: By the time the aquanauts were released from their decompression, Berry Cannon’s funeral had already taken place. A Navy Board of Investigation asked tough questions of Bond and the rest of the Sealab team. Richard Blackburn sharply criticized some of the decisions that were made. “We were all pushed to the point where mistakes were inevitable,” he testified, “it is a horrible thing for a man to have to die to slow this outfit down.” The San Diego Union reported that Bond was "emotionally shaken several times while recalling the details of the tragedy." The investigation lasted almost a month, and it concluded that CO2 poisoning was the most likely cause of Cannon’s death. But the entire program became another casualty. By the end of 1970, the Navy had shut Sealab down completely. George Bond’s dream of man living under the sea seemed to have run its course. Narrator: To the American public, Sealab looked like an abject failure, but the Navy’s Cold War architects saw, instead, a new top-secret role for the program. Ben Hellwarth, Author, Sealab: [The Sealab program] [begins] to enter into the thinking of America’s Cold War planning and strategy [16:34:48:00] [with] new Navy operations in which they could take advantage of their new saturation diving know how. Narrator: Some of the Sealab divers became covert operatives serving on board the U.S.S. Halibut, an aging nuclear submarine, that featured a portable compression chamber – a kind of mini Sealab – attached to its deck. Over the next few years, the Halibut would become their base for new kinds of dangerous deep-water operations. Bob Bornholdt, U.S. Navy Diver: Sealab personnel were natural recruits, almost to a man Aquanauts went into the black programs. Narrator: Late in 1972, the Halibut snuck inside Russian territorial waters in the sea of Okhotsk, and located a cable on the bottom. Saturation divers attached a recording device that secretly intercepted a gold mine of Soviet nuclear communications. It was one of the Cold War high points for the Navy, made possible by the pioneering work of Sealab. And the concept of saturation diving spread around the world. Richard Blackburn, U.S. Navy Diver: [Deep sea] oil exploration took off. Most of the guys that had worked at the experimental diving unit, ended up working for diving companies in the Gulf and the North Sea and all over the world. Narrator: From his retirement in North Carolina, George Bond looked on with satisfaction as his prediction that divers would one day be working hundreds of feet below the surface came true. In the 1980s, the National Oceanic and Atmospheric Administration, NOAA, created an undersea station, that was originally to be named after Bond, but was ultimately christened Aquarius. The habitat is still in operation, near a coral reef a few miles south of the Florida Keys. Sylvia Earle, Explorer: Sealab, was for me transformative because as a...as a diver, a scientist first, I use the ocean as a laboratory. Saturation diving gave me two full weeks to get to know the seascape if you will, the neighborhood. Anybody who is a field scientist in a desert or in the mountains or anywhere, you know you keep learning things as you spend time there. It makes all the difference in the world. Sealab was absolutely fundamental. It built the concept of being able to live underwater, to actually experience the blue part of the planet.